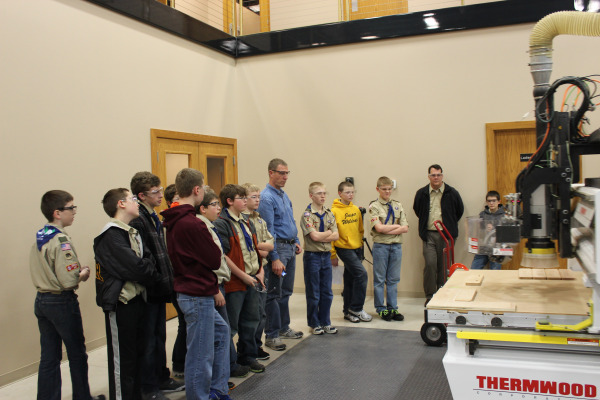 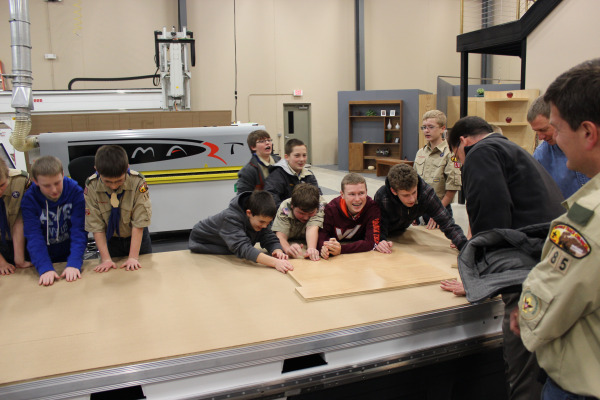 Local Jasper, IN Boy Scout Toop #185 recently visited Thermwood to learn about how CNC Routers work. 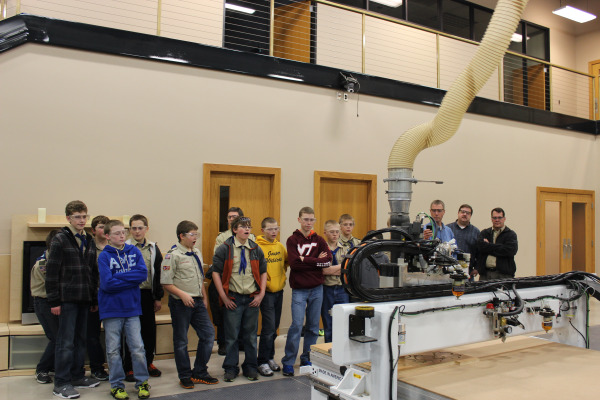 The scouts took a tour of the factory and then watched machining demonstrations on both the Model 45 and Model 43. 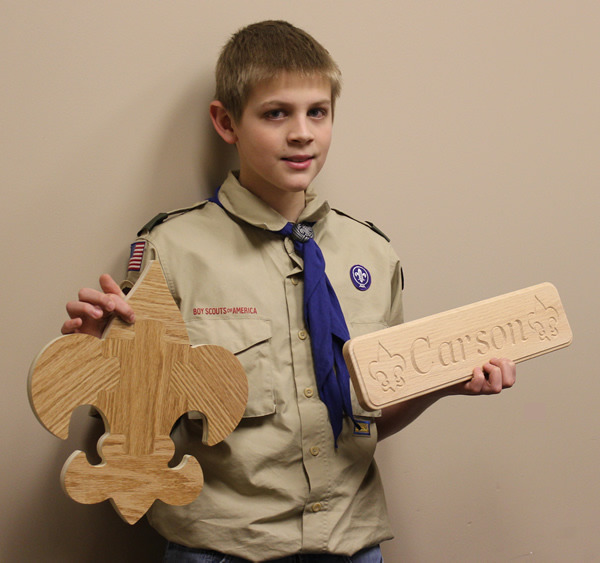 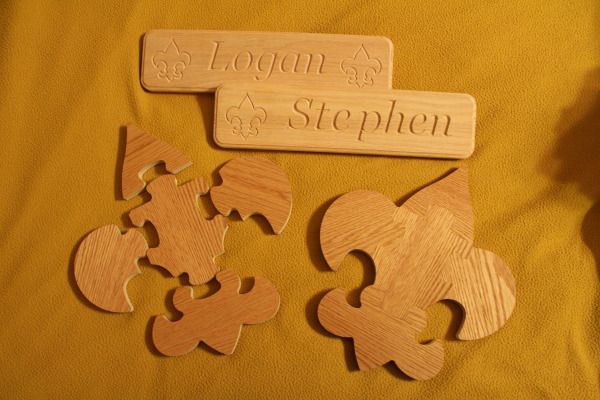 Each scout was able to take home a personalized Boy Scout emblem puzzle as well as a plaque with their name on it.